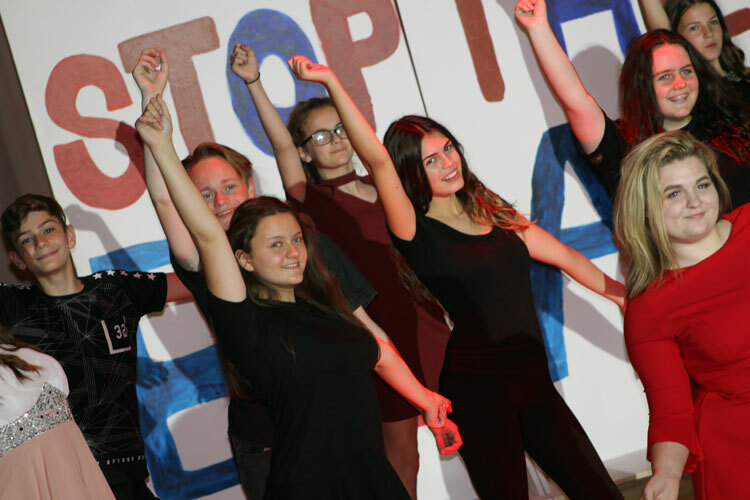 Katie Wright from the Northern Academy of Performing Arts (NAPA) was in this week delivering an Aspirational Talk about careers and pathways in the Performing Arts Industry to pupils on the Acting Scholarship Programme- which includes a huge 81 pupils in total across Years 7-11! 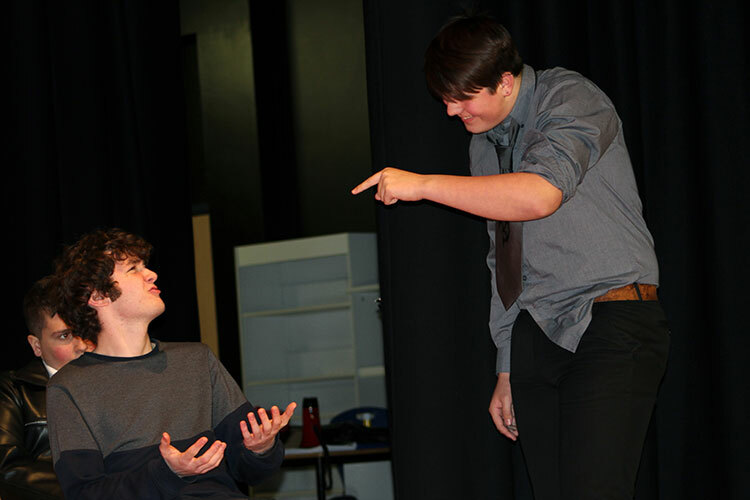 This was followed by a short acting skills workshop. 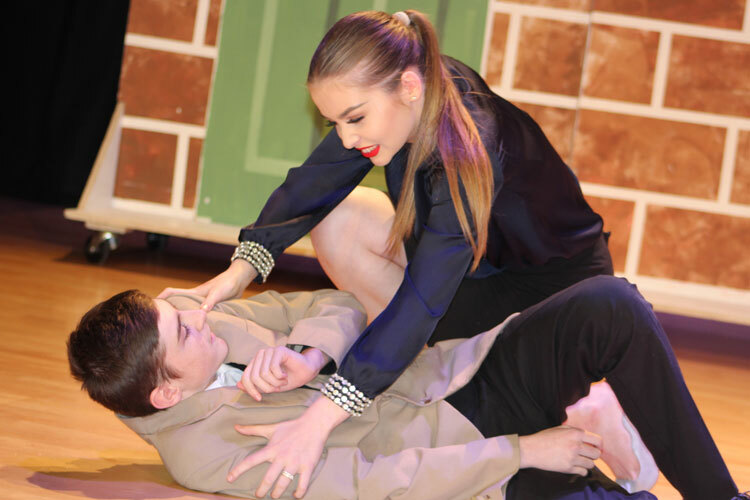 We are proud to announce that we will be working closely with NAPA in 2018 so watch this space regarding future projects between Winifred Holtby Academy and the Northern Academy of Performing Arts! 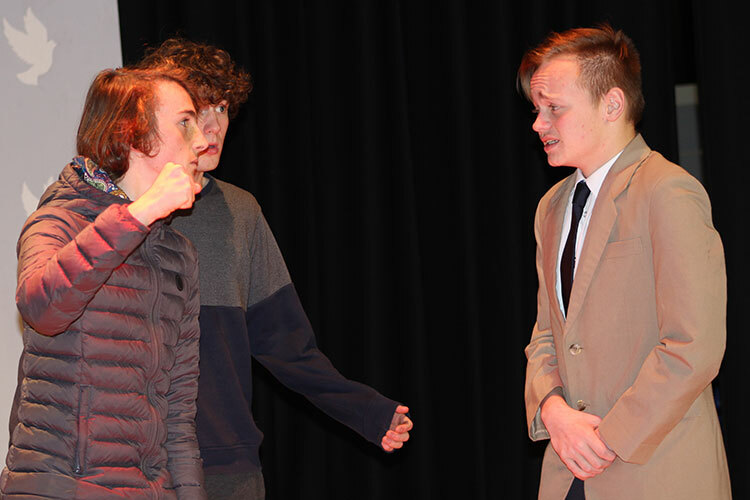 On Wednesday 29th and Thursday 30th November we held our annual Academy production created by our Year 11 BTEC Performing Arts Acting pupils which forms part of their qualification at the end of this year. 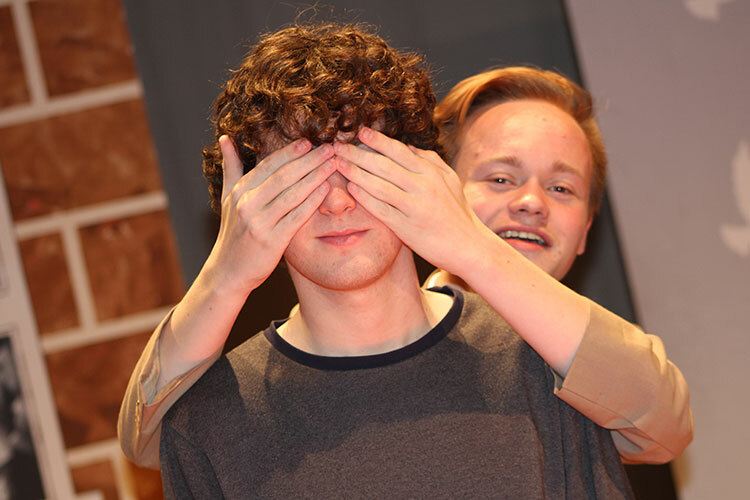 At the end of each show, the sense of achievement from all of the pupils on a job well done was clear to see. 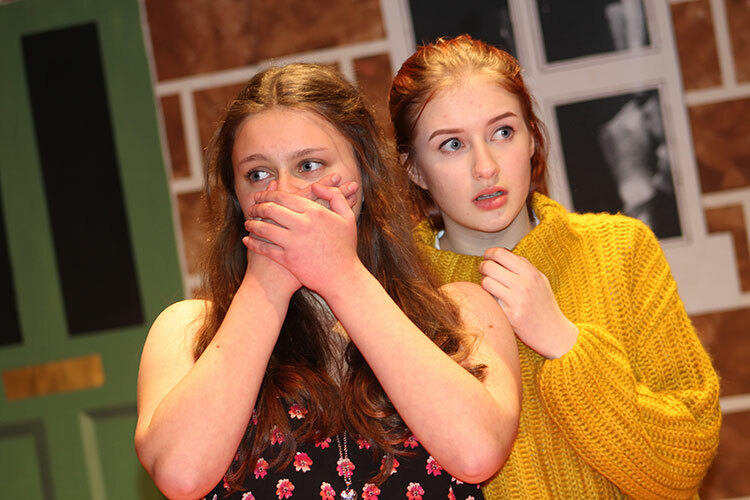 Over the past few months the pupils have all pulled together and have worked incredibly hard to put on a fantastic show- they should all be really proud of what they have achieved and no doubt this will be reflected in their results in August! 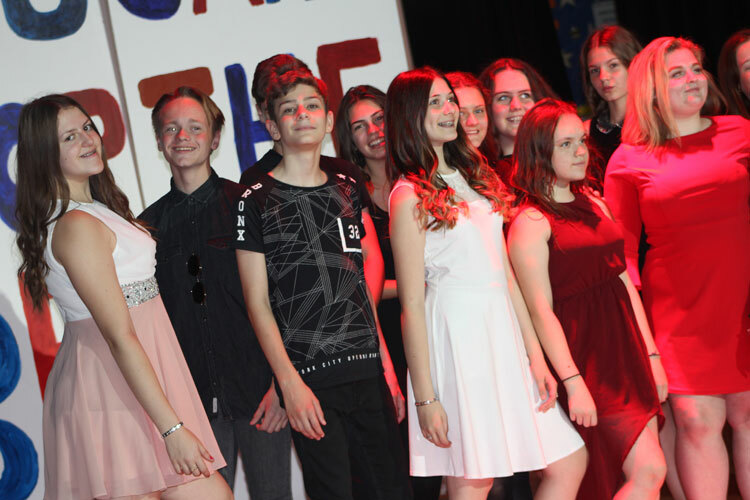 On Wednesday 27th September we showcased the very best in Musical talent at our ‘Night at the Musicals’ event. 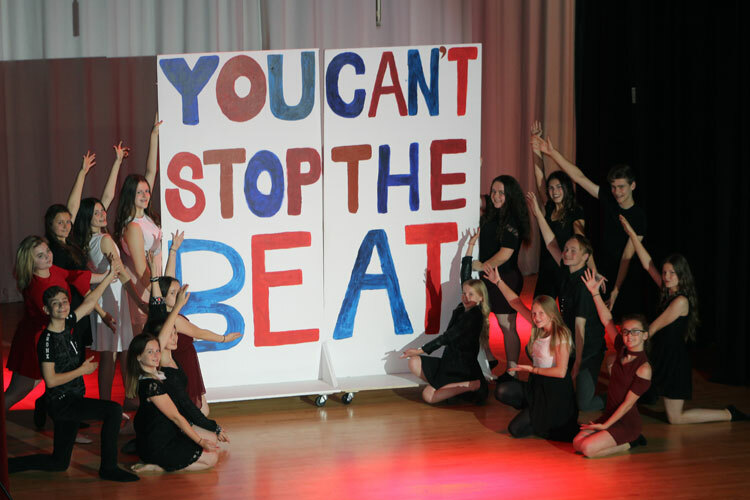 The show included iconic moments from a variety of different musicals including the famous ‘Fame’ jump, the dot dot dots of Mamma Mia, ‘the’ lift from Dirty Dancing, the cheesiness of High School Musical, the high notes of Grease, the gravity defying moment from Wicked and the never ending beats of Hairspray! 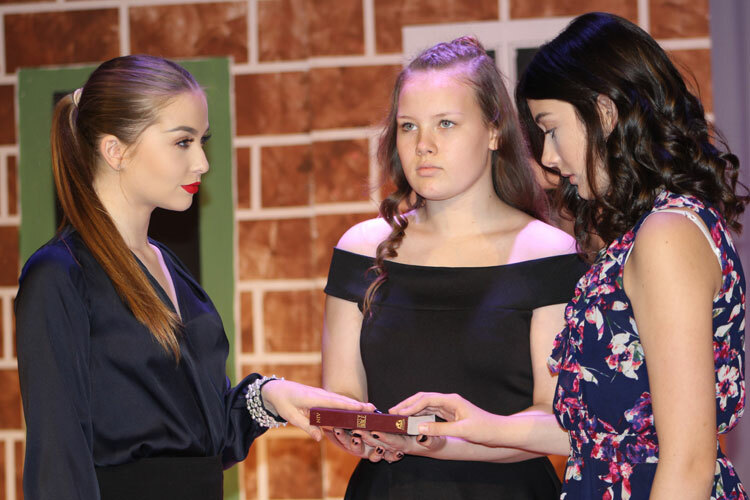 After approximately five months of hard work and dedication (including attending rehearsals during the summer holidays), the pupils put on a great show for a record crowd ever achieved for at least the last six years at Winifred Holtby Academy! 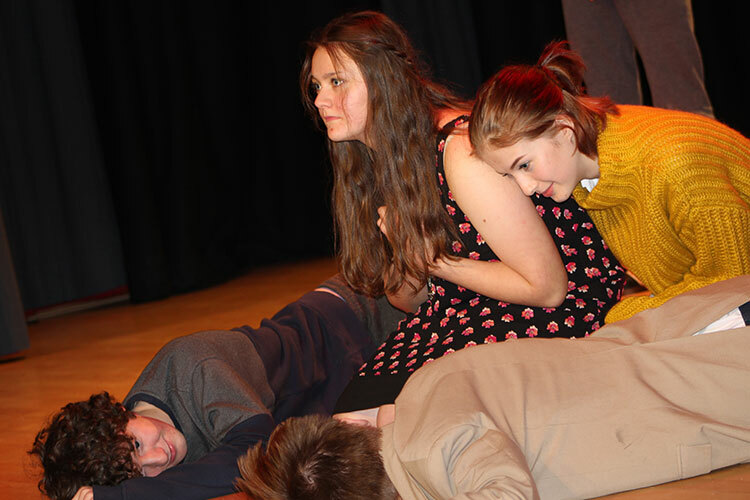 The Theatre was packed with families, friends and staff who all came out to support the pupils. And they certainly deserved that support! 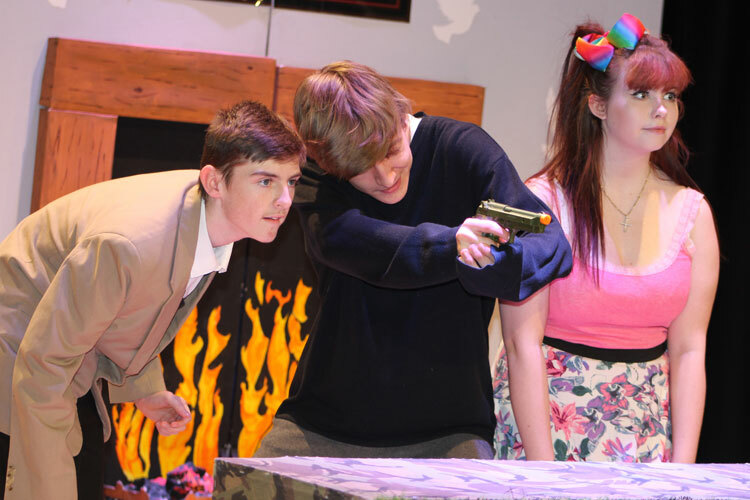 The whole production was run by the pupils, from directing and choreography to choices of costumes, lighting and sound as well as the organisation of the whole event from rehearsal schedules to ticket sales. This supports Team CPA’s motto: for pupils, by pupils! 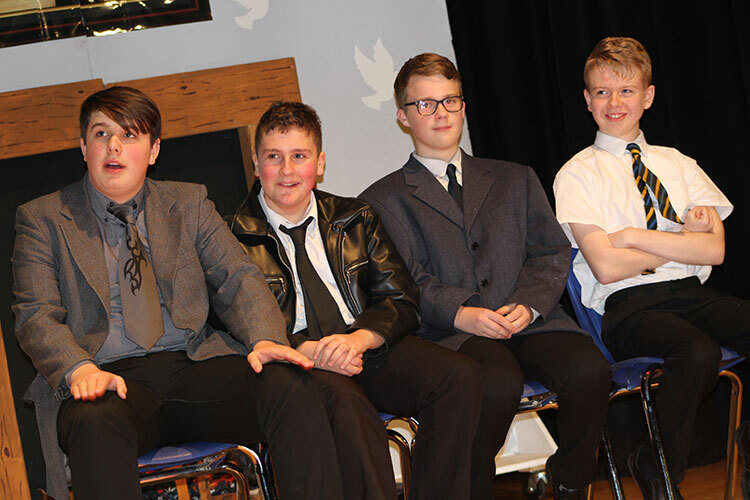 We strongly believe in pupil leadership and our Pupil Leadership Team in CPA really organised and put on a great show, and should be very proud of their efforts- which they were! 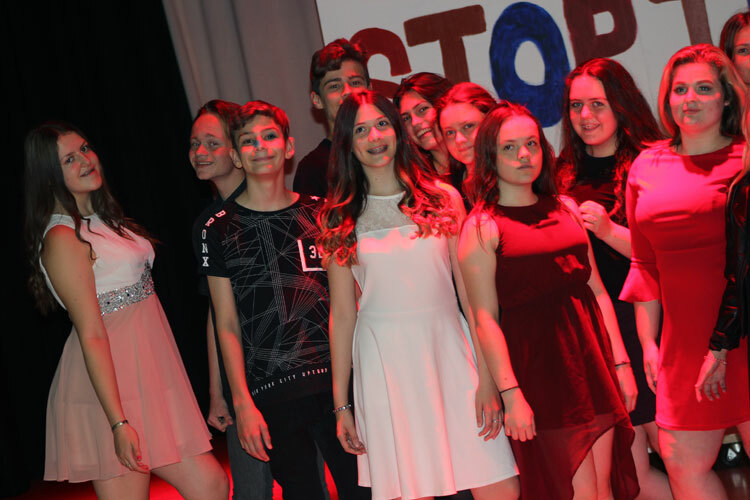 When the curtains closed for the final time there was a great energy backstage with emotions running incredibly high for all of the participating pupils- proud of what they achieved together! This togetherness was visibly demonstrated on stage during the emotional reprise of ‘We’re all in this together’, which seemed to sum up the whole event perfectly. 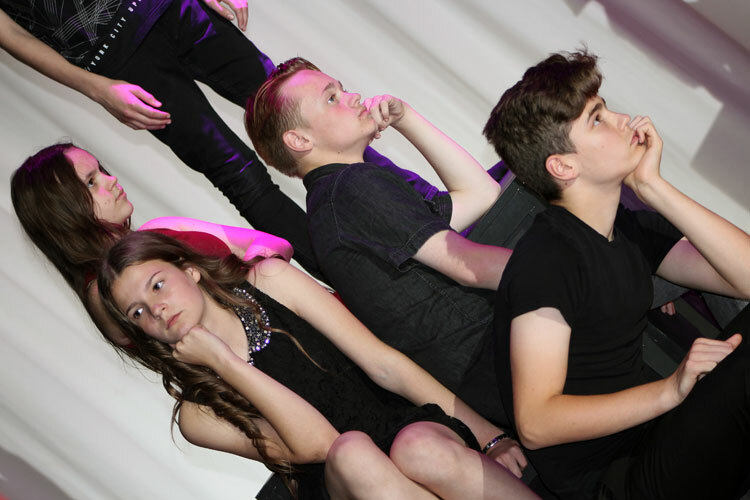 The pupils had succeeded in not only bringing the performance together but bringing the whole Academy community together to celebrate the amazing creative talents of pupils at Winifred Holtby Academy, including their families, their friends and the Academy staff who all showed their appreciation at the end of the show with rapturous applause and congratulations after the show had finished! 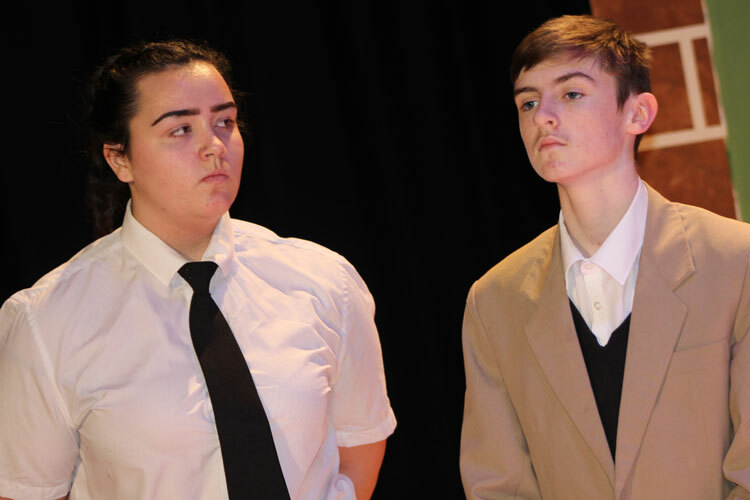 This is just the very beginning of a bright future in CPA with the pupils driving the Faculty forward and if their efforts on this show are anything to go by then the future of CPA at Winifred Holtby Academy is very bright indeed! Rock Challenge 2016 - Champions! On Thursday 14th April a group of 45 pupils represented the Academy in this years’ Rock Challenge competition at the Hull Ice Arena- achieving first place, and being crowned Hull Rock Challenge Senior Champions 2016! The unforgettable day began early with staff and pupils meeting at 8.00am with a buzz of excitement for the day ahead. The ‘award-winning’ stage crew had to load the set into the van, as the ‘champion’ performers made last minute preparations. There was an electric atmosphere on the journey to the Ice Arena with chanting, cheering and singing from the 45-strong Rock Challenge Team. This energy was maintained on arrival to the Ice Arena and throughout the day, particularly during the morning and afternoon production meetings. Pupils were in great spirits throughout the full day, which resulted in the Academy being awarded the ‘Spirit of Rock Challenge Award’; an award nominated by the other competing schools to the school/academy which they felt had been the most-friendly and supportive team throughout the day! The morning production meeting (warm up) involved pupils dancing to a remix of the classics including; ‘The Macarana’, ‘The YMCA’ and ‘The Cha Cha Slide’. 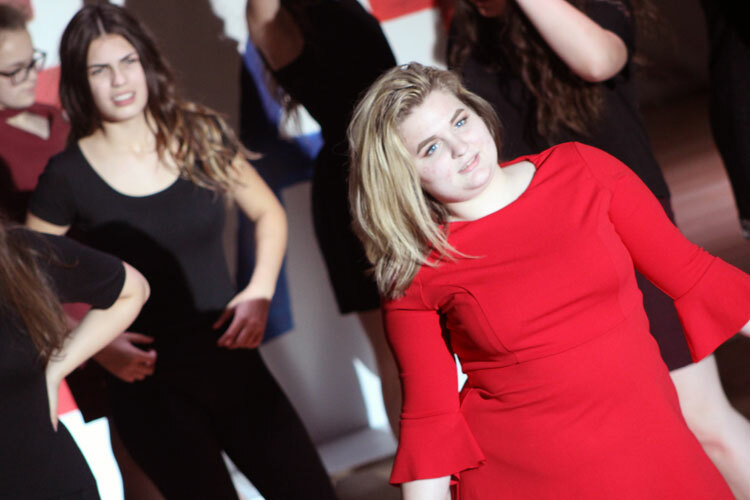 In the afternoon production meeting it was the turn of the staff to get on the stage, dancing to various dance anthems, including the famous air guitar competition- which Miss Brown has won three years in a row!!! 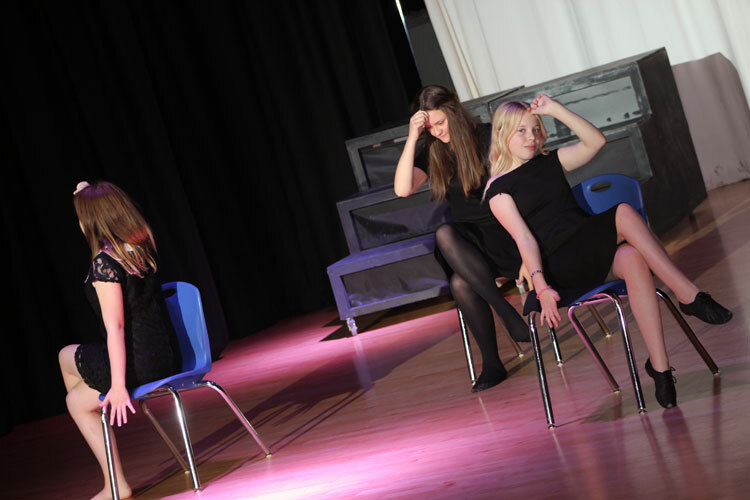 Throughout the day, pupils were supportive to other schools during their final rehearsals, as well as working hard on their own performance. Then came the nervous wait, building towards the performance. 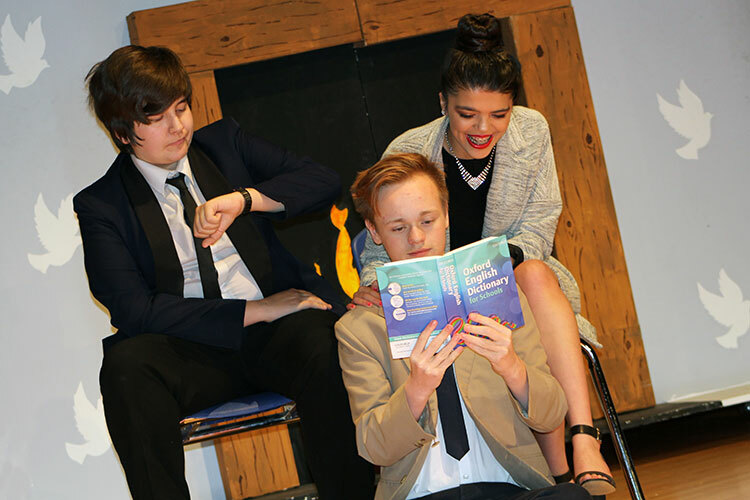 Winifred Holtby Academy were drawn last out of the competing schools, which meant that the wait was longer. 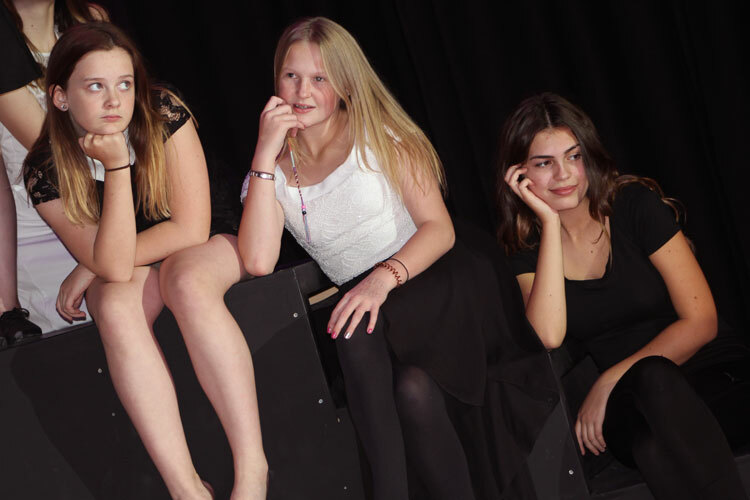 As the nervous tension built, pupils waited anxiously, but excitedly, in the wings as the host announced: ‘Please welcome to the stage with their theme (‘Only One Life’), Winifred Holtby Academy!’ What followed was 8 minutes of adrenaline fuelled performance, which demonstrated the talent of pupils at Winifred Holtby Academy. 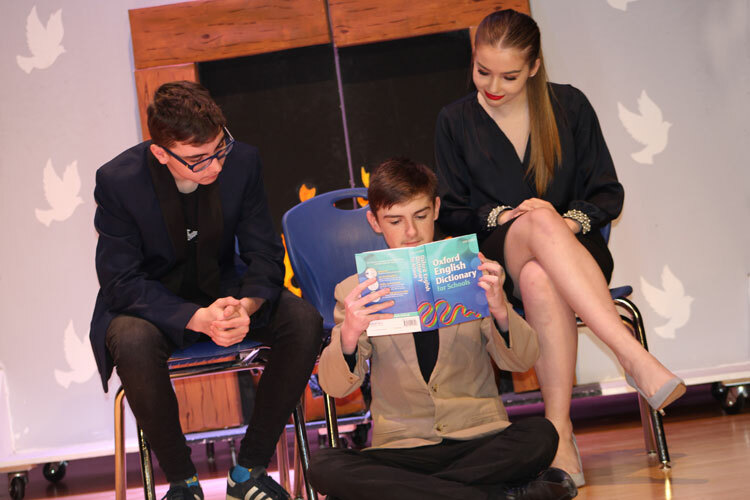 After having received very positive feedback from the judges, who said the performance was ‘truly amazing’, the anxious wait began as the judges tallied their scores! Then came the awards ceremony with Winifred Holtby scooping 10 Awards of Excellence! Finally, as the tension in the Ice Arena built, the moment had arrived…The host announced: 'The winner of Rock Challenge 2016…is…Winifred Holtby Academy!' As the intro music of the performance (‘The Clapping Song’) echoed around the arena, so did the applause from hundreds in the audience, as well as the chanting, cheering and singing that we had experienced on the journey to the Ice Arena in the morning. 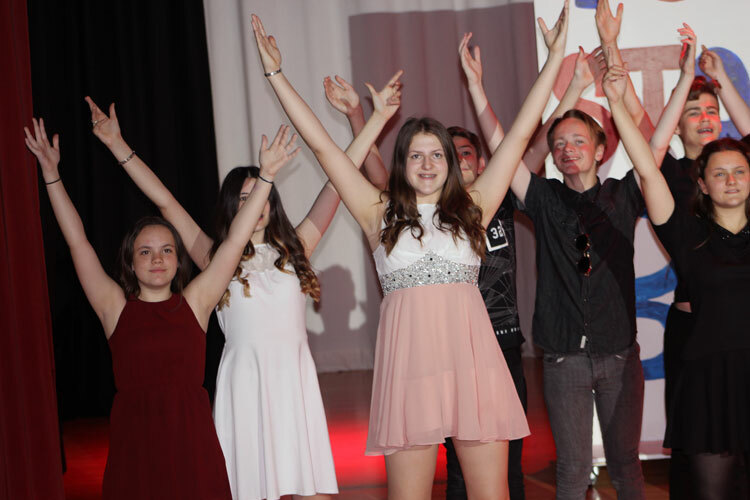 There were lots of celebratory tears from performers and their families, as pupils from Winifred Holtby Academy held the trophy aloft, to round off a truly amazing day! The pupils have worked so hard over the last 8 months and have done themselves, their families and everyone at the Academy proud. They will now represent Hull in the Northern Grand Final at Grimsby Auditorium on Friday 1st July. 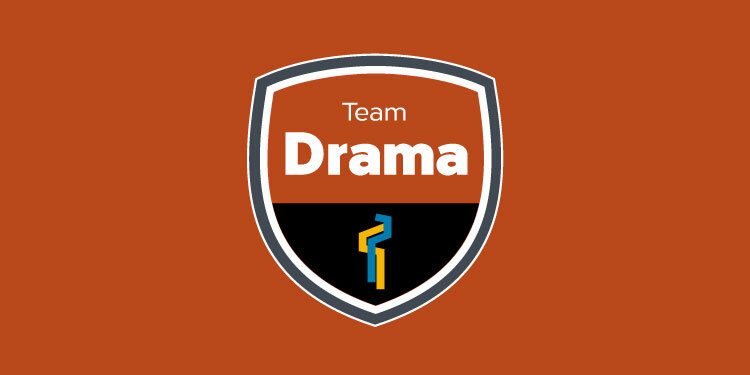 This event will see them compete against schools from Northern England, Northern Ireland and Scotland!